The deck at Salt Bar & Grill, Leeward, Providenciales. 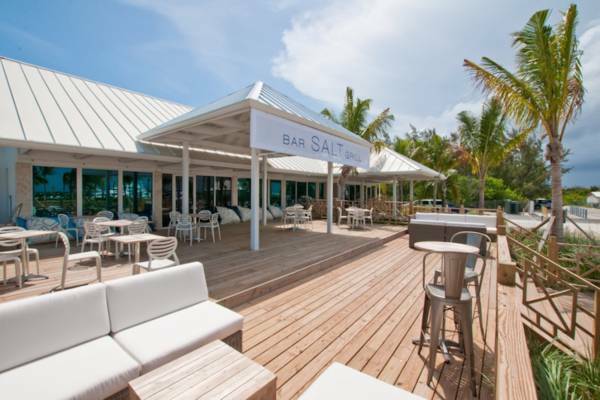 Salt Bar & Grill in Leeward has a wooden sun deck speckled with comfortable beanbags, giving boating aficionados a true sensation of having arrived. The menu appeals to all guests, offering bar snacks like conch bites, healthy salads, burgers and paninis. Open daily from 10am until 10pm. The outdoor seating at Salt Bar and Grill.